About the Firm | Bloom, Bloom & Associates, P.C. We Build Trusting Relationships with Our Clients From Day One! At Bloom, Bloom & Associates you will work with top-notch legal professionals who believe that communication is the cornerstone of a successful attorney-client relationship. This philosophy is put into practice from the very first meeting when we explain our fees and billing procedures in easy to understand terms. We also discuss the various legal and practical remedies involved in a particular matter as well as the estimated time and expense. If unexpected developments occur as work progresses, we consult our clients as soon as possible to examine the most cost-effective alternatives available. This honest and ongoing communication helps build strong relationships with our clients, and we encourage them to contact us at anytime to discuss our services and ask questions about legal matters. 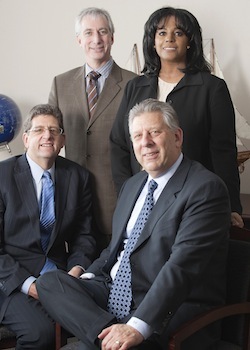 Experienced Attorneys Who Stay On Top of the Latest Developments! When you work with attorneys and staff at Bloom, Bloom & Associates, you receive advice from highly experienced professionals who believe strongly in the value of continuing education. Our attorneys regularly attend seminars to keep abreast of the latest developments in their respective areas of legal expertise. In addition, members of the firm often share their expertise by conducting educational programs for many civic, business and professional organizations throughout the community.